A great Oxfordshire based wedding venue in Thame, Oxon. VivienB's Wedding stationery who are also based in Thame, work closely with this venue to provide luxury wedding invitations. 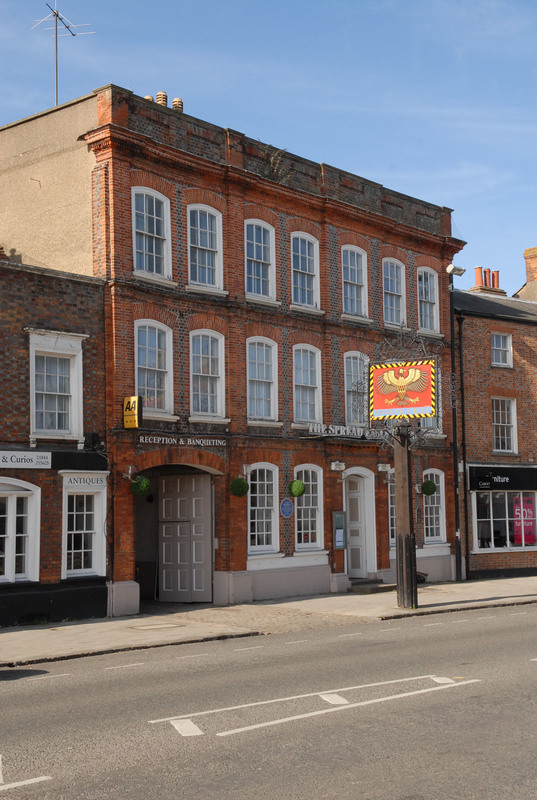 VivienB's are very pleased to recommend The Spread Eagle Hotel, located in Thame. All clients holding their wedding celebrations at the venue will also receive exclusive wedding stationery benefits, including discounts off wedding Invitations. The Spread Eagle Hotel Wedding venue in Oxfordshire offers an unrivalled location in the heart of the South Oxfordshire countryside overlooking the historic market town of Thame. The spacious Fothergill Hall is the perfect Wedding venue for an unforgettable day, whether it is for the Civil Ceremony, Wedding Breakfast or evening party. Seating up to 200 guests, they offer bespoke Wedding packages where every element of your day can be individually tailored. The Fothergill Hall has its own private bar facilities, ample parking and 35 comfortable bedrooms; you can be assured of an intimate and enchanting setting for your special day. Their dedicated team offers a wealth of knowledge and can assist or advise you on every aspect of this important event.